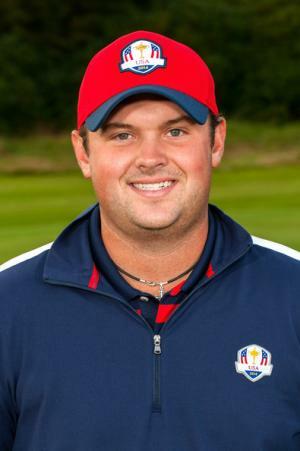 Patrick Reed was born on the 5th August 1990, in San Antonio, Texas USA, and is a professional golfer who plays on both the PGA Tour and the European Tour, and is best known for winning the 2014 WGC-Cadillac Championship, among five wins on the PGA Tour. Reed’s career started in 2011. Have you ever wondered how rich Patrick Reed is, as of early 2017? According to authoritative sources, it has been estimated that Reed’s net worth is as high as $6 million, an amount earned through his successful career as a pro golfer. Patrick Reed grew up in Texas, but went to the University High School in Baton Rouge, Louisiana, where he played golf and won the 2006 Junior British Open, plus qualifying for the US Amateur Championship in 2007. His results helped University High to win consecutive state championships in 2006 and 2007, and earned him Rolex AJGA All-America honours in 2005, 2006 and 2007. Reed enrolled at the University of Georgia, but then moved to Augusta State University, and led them to the NCAA Division I Golf Championship in 2010 and 2011. Reed turned pro in 2011 following the NCAA Championship, and debuted on the PGA Tour in June that year at the FedEx St. Jude Classic, but failed to go past the second round. By the end of 2011, Patrick had played two more tournaments and managed to earn around $20,000, and an additional $5,000 on the Nationwide Tour. The next season was way more successful for Reed, as he participated in 12 events on the PGA Tour and collected around $300,000 in prize money. At the 2013 AT&T Pebble Beach National Pro-Am, Reed recorded his first top-10 finish, and then secured his first win at the Wyndham Championship in a playoff against Jordan Spieth. By the end of the year, Patrick had also won at the Sedgefield Country Club, and so he finished the season as a millionaire, a very considerable lift in his net worth. Reed won the 2014 Humana Challenge tournament by two strokes over Ryan Palmer, while in March 2014, he won in the WGC-Cadillac Championship at Trump National Doral in Miami, Florida, and earned $1.53 million after finishing ahead of Bubba Watson and Jamie Donaldson. Only Tiger Woods, Phil Mickelson, Jordan Speith, Sergio García and Rory McIlroy have managed to record three PGA Tour wins before their 24th birthday, and Reed joined that club in 2014. His excellent displays helped him to 20th position in the Official World Golf Rankings and secured him a place in the 2014 Masters. In January 2015, Reed defeated Jimmy Walker in a sudden death playoff to win the Hyundai Tournament of Champions, his fourth PGA Tour title. He also competed at the Valspar Championship, the Hero World Challenge and at the Honda Classic, finishing the season in 14th position on the rankings. Most recently, Reed won the FedEx Cup playoff event, The Barclays played at Bethpage Black in August 2016, which is his fifth PGA Tour win. Regarding his personal life, Patrick Reed married Justine Karain in 2012, his former caddy, and has a daughter with her.